Moms usually worry about small wounds their kids incur when playing inside or outside the home. Wounds become more worrisome if they become infected as they could harbor the tetanus infection. 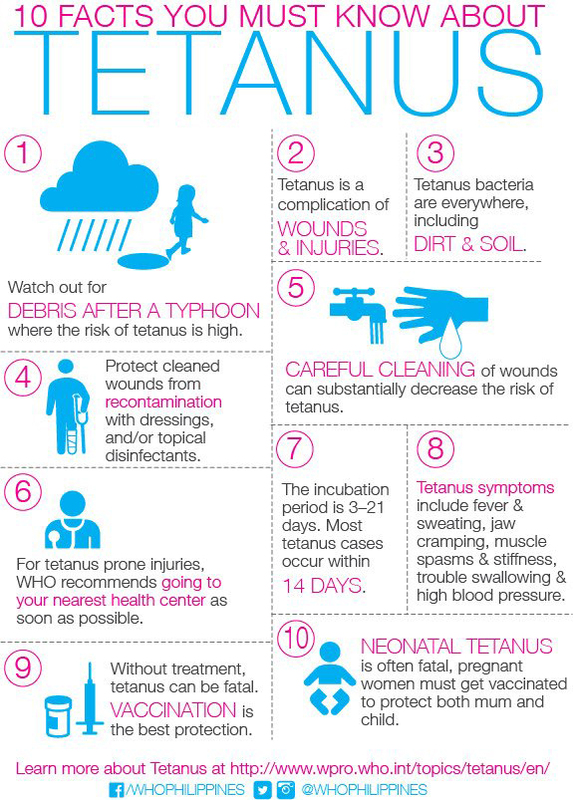 This infographic is very useful in teaching the public about tetanus and how to properly care for wounds. There are different wounds incurred from various sources. One being discussed in the infographic is wound sustained from typhoon-related accidents. Take note of the health tips for future reference. This entry was posted in Diseases and tagged proper wound care, tetanus, tetanus infection on October 25, 2016 by Yami.